So I just started watching the Nickelodeon series Avatar: The Last Airbender on DVD, and all I can say is - WOW! This show is amazing! It aired in the mid to late 2000's, so it makes sense why someone my age wouldn't have seen it, but I'm glad I'm getting into it now. The storytelling is masterful, but the greatest aspect in my opinion is the character development. It's one of those stories where the universe is so rich and charming that you end up imagining yourself in it all day. If you have kids or don't, I'd definitely give it a shot. 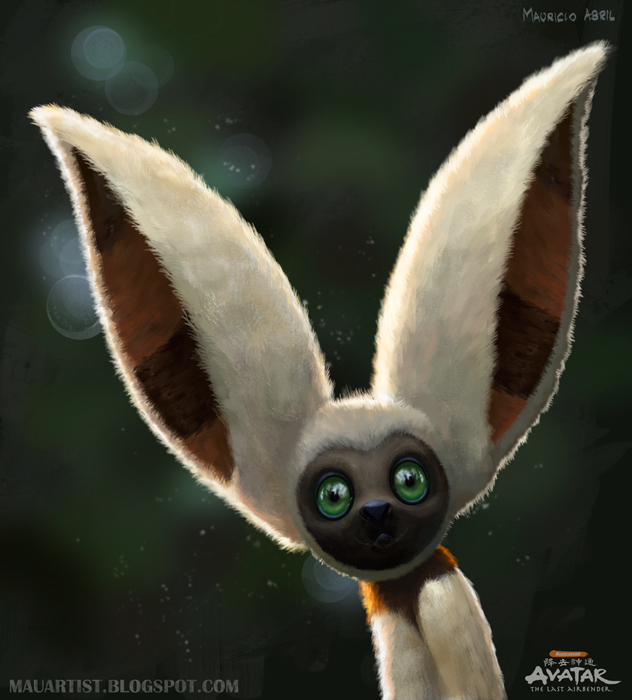 This specific little guy is Momo, a flying lemur that's the main character's pet. He's such a character that I wanted to paint him up real quick and see what he'd look like a bit more realistically. Thanks for looking! Well I simply must check this out, Mauricio! 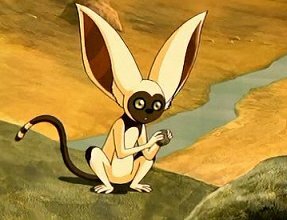 What a wonderful character Momo is..love those ears and this piece if beautifully executed. Wishing you a wonderful year ahead..many thanks for your kind visit recently! I am excited to know you're working on your second book..even if it's pre-pre-planning, it all counts! : ) I'll keep you abreast of how things go with my pet project and look forward to hearing more about yours! Thanks, Estevao! I'd love to paint more 2D characters in a 3D way, I just have to be really passionate about them and have some extra time in the day. It seems like there's never enough time for all the things I want to paint! Awesome lighting on this one! Awesome post dude! Specially love the supermans picture, so powerful!